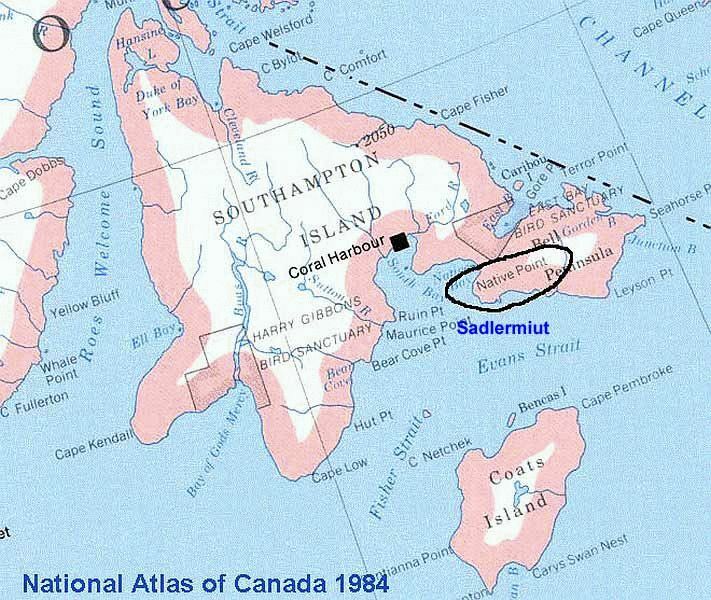 Sadlermiut Territory: Southampton and Coats Islands, at the north end of Hudson's Bay. 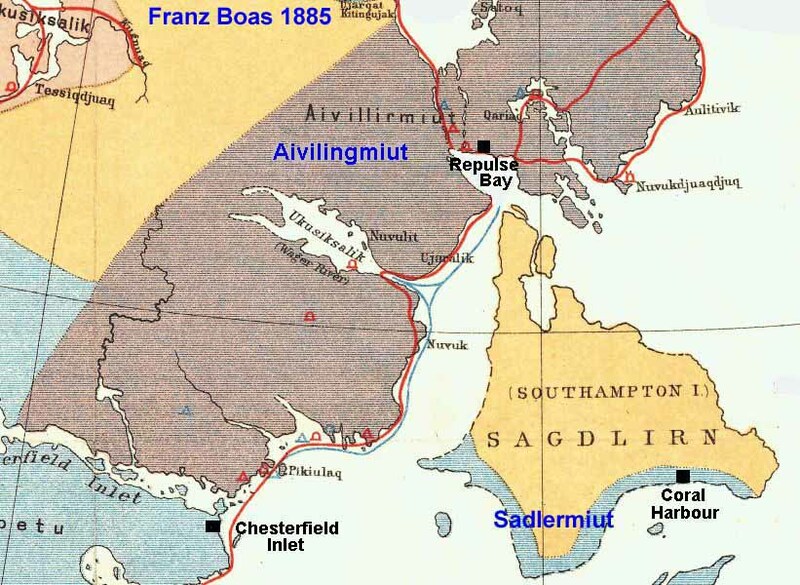 Although they had considerable infusion of Thule blood and influences, the Sadlermiut were the last remaining group of the early Dorset culture. Unfortunately in 1902, they all perished over the winter in a Typhus epidemic. Their territory is now occupied by the Aivilingmiut.